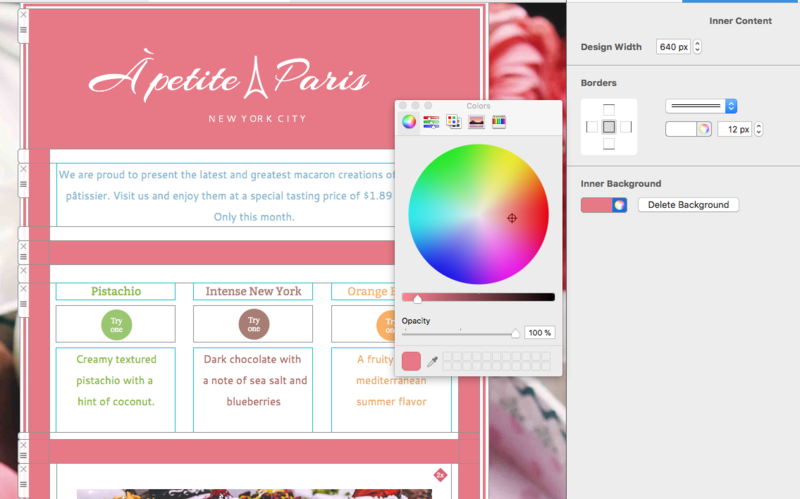 To edit the entire inner background of your design, click on the design background to open the inner background editor. To change the color of your inner background, select a color from the color chooser. This will be applied to your entire inner background. 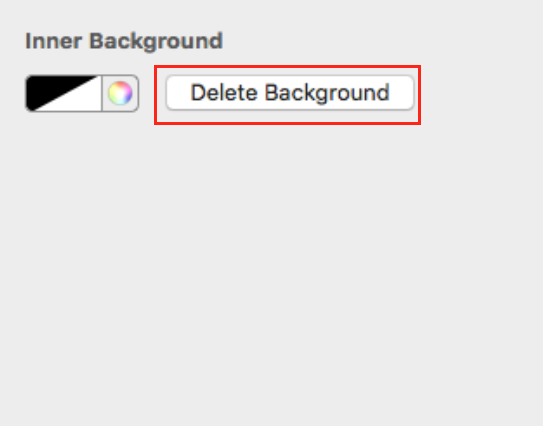 Click on Delete background to delete your entire design background for a transparent effect.